Photographer’s notes: This rider has had a gap of over a decade between her last bike and now but has made the decision to return to the roads as a cyclist. I rather admire that leap into the two-wheeled community. When I came across her, she was negotiating a difficult cobweb intersection near the Gare Midi train station. A flood of cars and unclear passageways can be intimidating for all but the most confident rider. We exchanged tips on how to negotiate the spaces, when to use sidewalks and opt out of the vehicular paths. Hopefully, as time passes, confidence will rise. 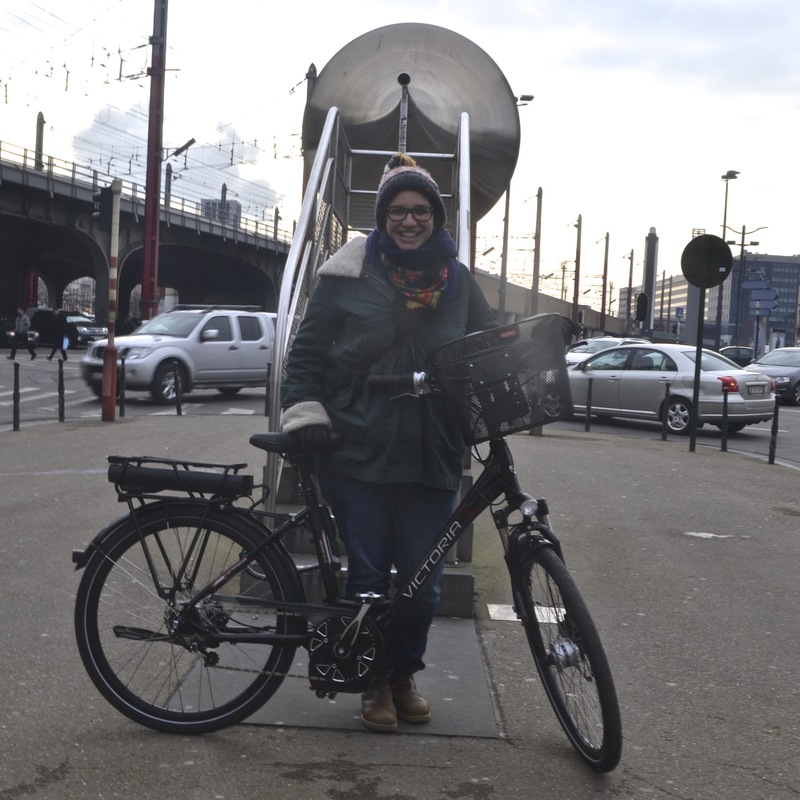 This entry was posted in commuter, electricbike, family and tagged 2015, February, Victoria-Fahrrad. Bookmark the permalink.